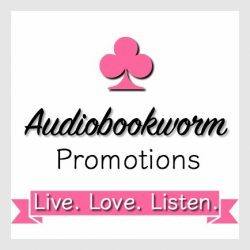 ← Author and Narrator Valerie Gilbert tells us about her ‘other life’ and so much more! Learn about her experience in a trance state, her mystical beliefs, her thoughts on reincarnation, karma and her life-changing experience at a séance. Winner of Liliana Hart’s THE DARKEST CORNER book 1 of the Gravediggers series. Annoucement! Winner of the coveted copy of The Darkest Corner by Liliana Hart is…….. Please message me at Booktalk with Eileen on Facebook. Congratulations! Giveaway The Darkest Corner – first book of an exciting, funny and not to be missed read! Just comment you want it and anything else you’d like to say for a chance to win! Compliments of the publisher. Book 2 review below. I’m loving the series. Plenty of romance, lots of suspense and totally snarky female characters. There is nothing you won’t like! My Thoughts: If you were dead, could you deal with it? Okay, these super-trained men are not really dead, however they died in the eyes of the world, and there cross-over was brutal, that is, the leaving and returning to the living. They are now employees at Last Stop Mortuary, a cover for what their purpose really is. They are men who are top, or were, in their chosen careers, now using some really super technology to oust the men bent on destroying the world. The gravediggers operate as an elite team, working to fight terrorism. So how does Miller Darling, a romance novelist, always on deadline (sound familiar, you writers?) hook up with these characters? The whole town is ogling the men who have been hired at the Last Stop Mortuary. Even the name of the town, coupled with the word, mortuary, gets me laughing and I managed to laugh all the way through except when I was on pins and needles–plenty of action and suspense! There are scenes full of deep mirth and some very outrageous dialogue. One particular one has UPS ring Miller’s doorbell. She’s got a sign on her front door ‘Do Not Disturb’. Unfortunately, the deliverer needs a signature. Miller has been writing non-stop for three days, looks and probably smells like hell. She is right in the middle of writing an exquisite love scene, in tune with the total experience. Her novel’s characters are King Solomon and Queen Sheba. Here’s a small excerpt that just cracked me up! His eyebrows raised and his mouth opened and closed a couple of times. “No?” he said, phrasing it like a question. He was starting to look scared. Good. Hysterical, right? This type of book can either be offensive or just a riot to read, depending on the sensibilities of the reader. The whole town is a little bit off kilter, but charming and endearing. Elias Cole, one of the men working for the mortuary is not only ogled by the town women, but he’s ogling Miller. As outrageous as she is, she’s just the sort of woman he needs. Elias has denied himself any permanent relationship, since his life is nothing he can offer a woman. The chemistry between the two of them is explosive. Elias has the control of just walking away, driving the hot-tempered, spit-fire writer crazy! She’s tempted to write him into a story and knock him off! Justin, Miller’s brother, considerably older than she is has been out of her life for a long time. She receives a couple of letters a year from him. But things heat up when she receives his finger and ring in the package delivered by that UPS man. Who better to talk this over with, is her friend Tess, who she tells everything. In book one, Tess married one of the ‘dead’ men, so she has connections to aid Miller to find her brother, but Miller doesn’t know about Tess’s secret new life. One thing Miller believes in, is family. She’s ready to go find her brother, with or without help. You’ll want to indulge in this series, the whole thing, because the plot is unique, the humor is snarky, Tess and Miller, friends since childhood, will entertain and warm your heart. The men are brave with brawn and do what’s right, not necessarily what they’re told to do! Book three, here I come! Liliana Hart is a New York Times, USA Today, and Publishers Weekly bestselling author of more than forty titles, including the Addison Holmes Whiskey and J.J. Graves Mystery series. Since self-publishing in June 2011, Liliana has sold more than four million ebooks. She’s hit the #1 spot on lists all over the world, and all three of her series have appeared on the New York Times bestseller list. Liliana is a sought-after speaker who’s given keynote speeches and self-publishing workshops to standing-room-only crowds from CA to NYC to London. 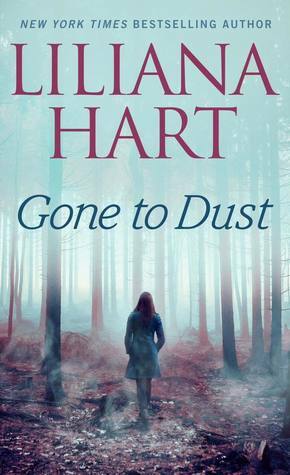 This entry was posted in Book Giveaway, Book Reviews, Contemporary Romance, Romantic Suspense and tagged Gone to Dust, Liliana Hart, The Gravediggers Series. Bookmark the permalink. 6 Responses to Winner of Liliana Hart’s THE DARKEST CORNER book 1 of the Gravediggers series. I’m eager to read the next in the series, SAY NO MORE, coming out in July. It IS a great series! I’d like you to know you are the winner of THE DARKEST CORNER. Please PM on FB or email me your mailing address. eileendandashi@outlook.com Congratulations! You are the winner. Please respond by July 7 or lose your chance for this copy. Sorry, the publisher needs to know ASAP!